High quality table talker printing, supplied flat creased with easy peel tape for quick self assembly. Printed full colour to one side on 350gsm silk board with 3 different lamination options. 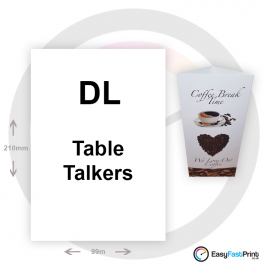 "Table talkers what a great way to advertise to your customers"